Enjoy a fun slice of pizza without the calories or heartburn with this fun CHARM IT! Pizza charm. All the more fun with an adorable smiling face, this fun little pizza charm has red and sparkly red acrylic stone pepperonis. (or are they sausages?) With a simple snap of a clasp, girls can personalize their charm bracelets with this CHARM IT! 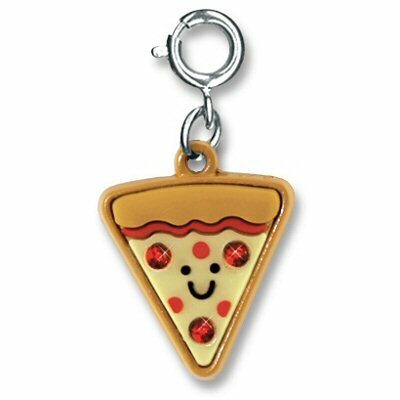 pizza charm which is sure to bring a smile to their faces.